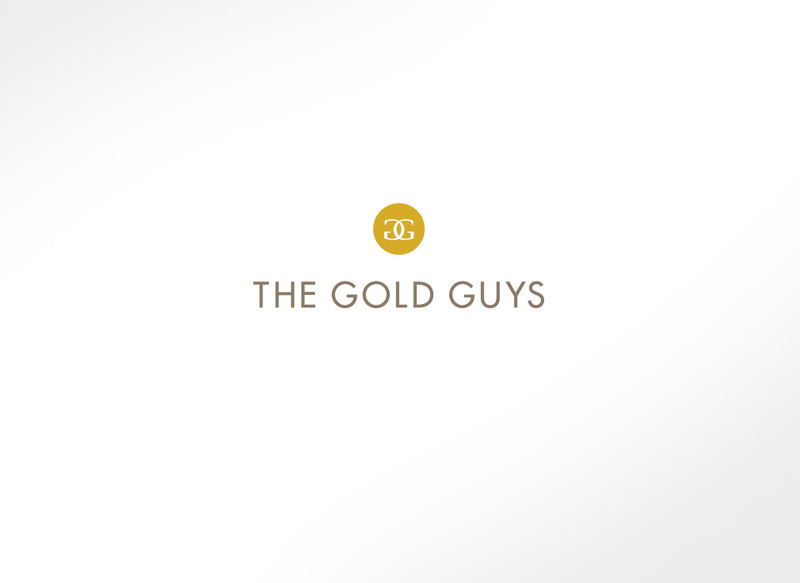 The Gold Guys is one of the most respected and trusted precious metals dealers in the United States and has been ranked as the #1 Gold Buyer. 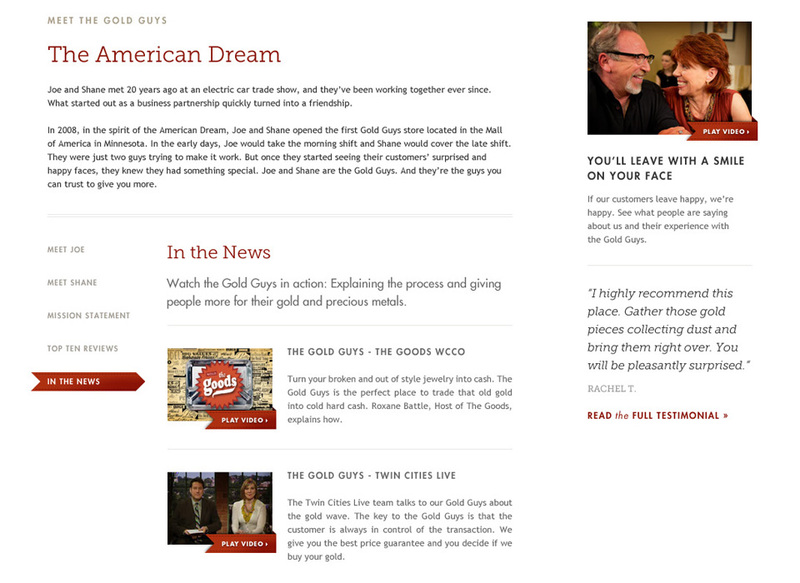 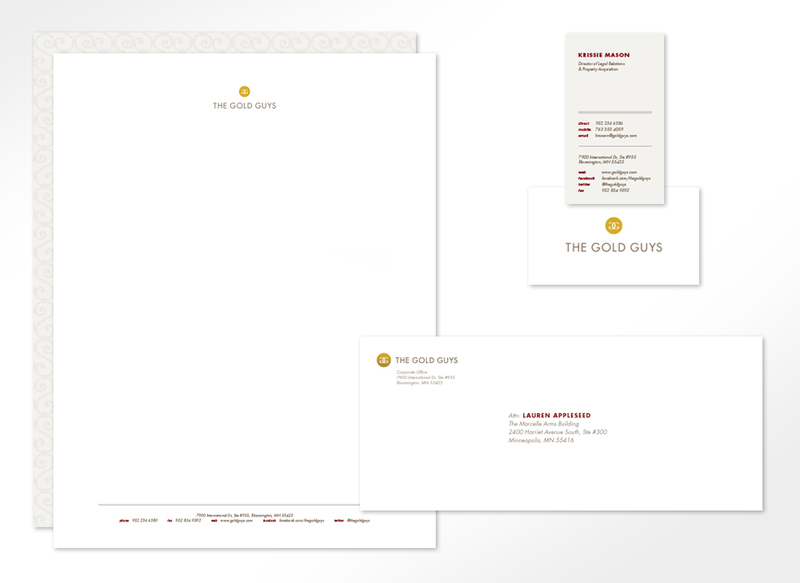 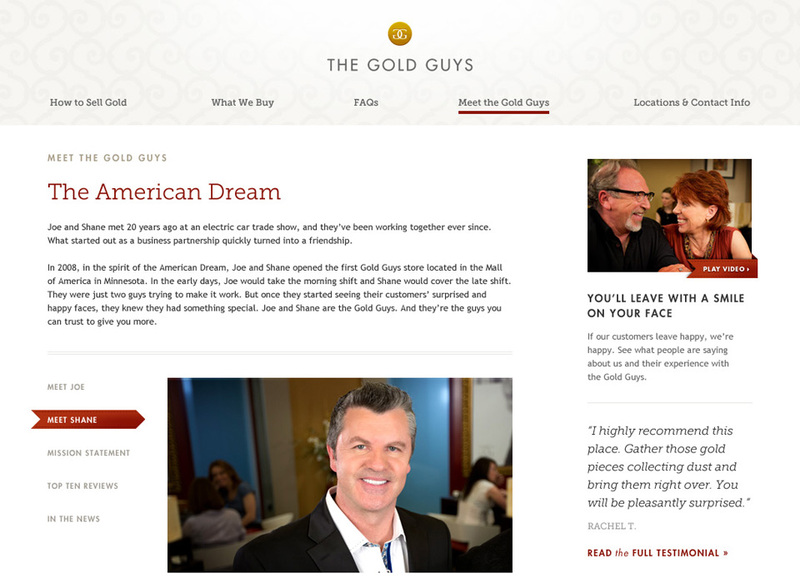 The Gold Guys needed an identity system and website that reflected the professional and personal nature of the company. 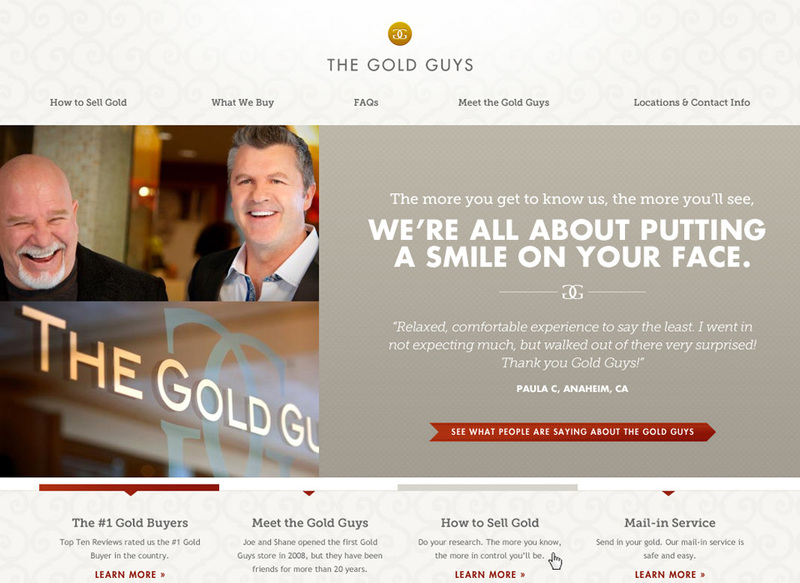 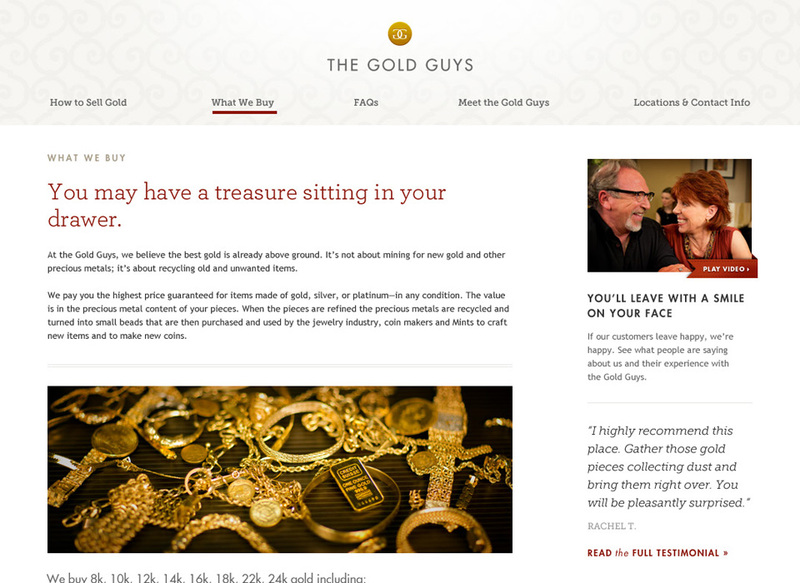 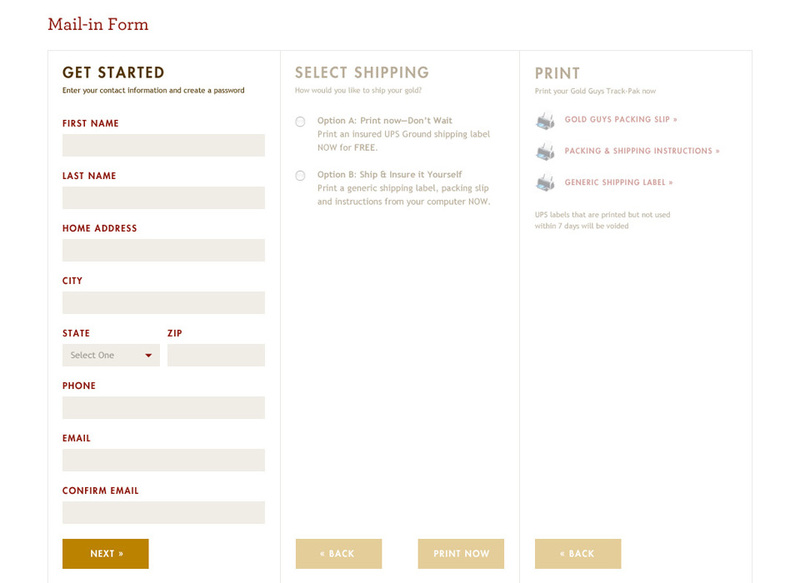 The website allows customers to meet the Gold Guys founders and features and a mail-in service form for customers.